During planting time, many farmers reap the benefits of advancement in agricultural technology. With the help of GPS auto-steer devices, farmers are able to decrease driver error and maximize productivity. Yet despite these advances, safety risks remain. 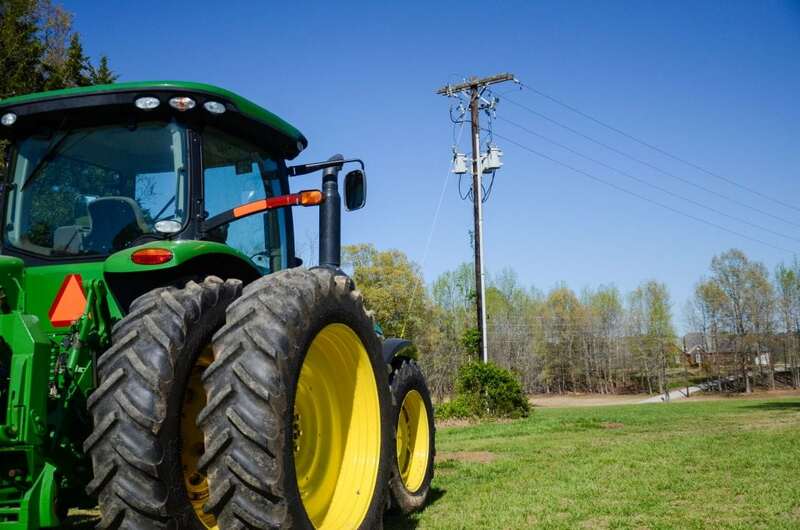 To help farmers stay out of harm’s way, the electric cooperatives of Tennessee share these tips to get the crop planted safely. GPS with auto-guidance provides farmers with real-time location data about a field, which can be used for crop planning, map making, navigation assistance and machinery guidance. This technology allows drivers to have their hands off the steering wheel as the tractor maneuvers itself through the field. Thanks to this technology, farmers can more easily and efficiently maintain accuracy even during low-light conditions, which enhances productivity. If a power line is sagging or low, contact your local electric cooperative. If your equipment does make contact with a power line, do not leave the cab. Immediately call 911, warn others to stay away and wait for the utility crew to cut the power. The only reason to exit equipment that has come into contact with overhead lines is if the equipment is on fire, which is rare. However, if this is the case, jump off the equipment with your feet together and without touching the ground and machinery at the same time. Then, still keeping your feet together, hop to safety as you leave the area. For more information on electrical safety, visit everydaysafe.org. I like where you talked about using a spotter near power lines. My son and I own a farm and constantly have to make sure both us and our equipment is kept safe while we’re working. Thank you for some new farming tips we haven’t heard of!